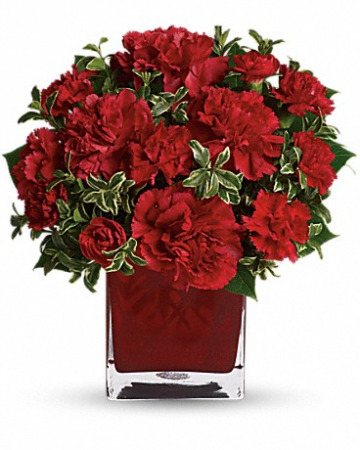 Red cube arrangement with red carnations. 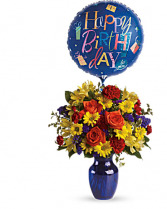 Basket of mixed fresh flowers. Handcrafted and covered in flowers. 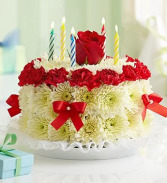 This birthday cake has no calories but brings lots of joy!